Snow foam lances feature an agitating mesh that causes snow foam liquid to foam up and cling to your car. 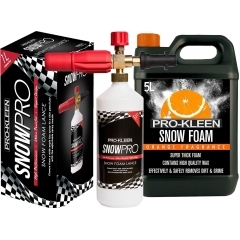 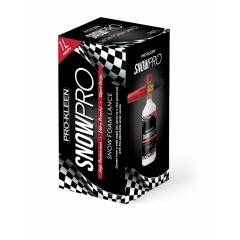 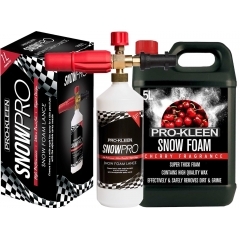 Our Snow Foam Lance is uniquely designed to give superior results when you use it alongside our premium Pro-Kleen Snow Foam – use the two together for a super-effective pre-wash.
Our Snow Foam Lances give the same great results from any quality pressure washer. 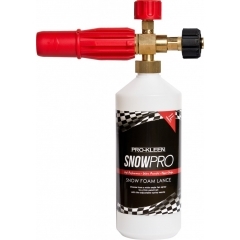 Our Snow Foam Lance is compatible with pressure washers from Nilfisk, Karcher, Bosch, Black & Decker, and Lavor, giving you a thick snow foam pre-wash every time you use it. Just choose the correct attachment to fit your pressure washer from the range on this page. 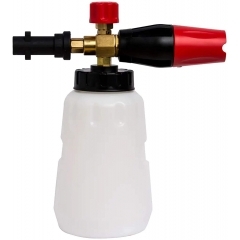 Get your car pre-wash done the way you want it with an adjustable nozzle and intake valve. 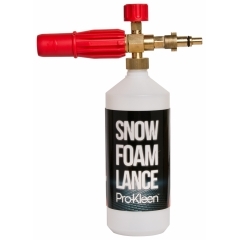 Set a wide-angle spray and get your foam thickness just right for the perfect pre-wash.
Our Snow Foam Lance comes pre-assembled so you can use it straight out of the box. 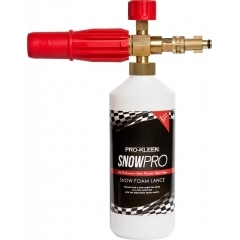 With a lightweight design, it’s easy to manoeuvre around even very large vehicles or to use for extended periods. 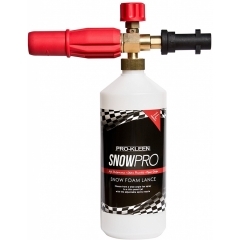 This means it’s ideal for using for both domestic and professional car detailing jobs.